Marcus: I was only trying to feed it. 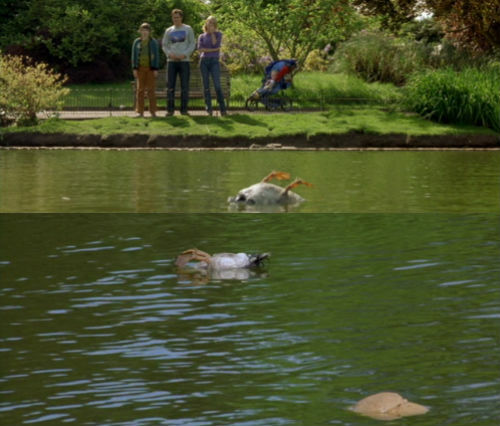 Will: What’s that floating in the water next to it? Is that. . .is that your mum’s bread? Bloody hell, Marcus, you didn’t have to throw the whole loaf; that would have killed me.